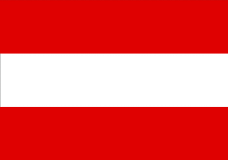 Our latest data shows that Austria spent $3,411,000,000 on their military in 2012 which amounted to 0.8% of the country's GDP that year. Check out the chart below for more Austrian military budget data. We can only publish the past 12 years, but SIPRI has data as far back as 1988 on their site. registration requirement at age 17, the legal minimum age for voluntary military service; 18 is the legal minimum age for compulsory service; males under the age of 35 must complete basic military training (6 month duration); males 18 to 50 years old in the militia or inactive reserve are subject to compulsory service (2012).